COSTA MESA, Calif. — Agility Fuel Solutions, a leading global provider of clean fuel solutions for medium- and heavy-duty commercial vehicles, announced today that its 488LPI 8.0L V-8 propane engine has received EPA approval for sale through December 31, 2019. The 488LPI engine uses Agility’s patented liquid propane injection (LPI) technology. The engine is assembled in Agility’s Salisbury, North Carolina plant on a base General Motors V-8 engine long block, with proprietary Agility dress parts, propane injection system and controls. 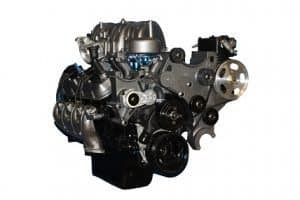 The 488LPI engine is used in school bus, propane bobtail and medium-duty truck applications. 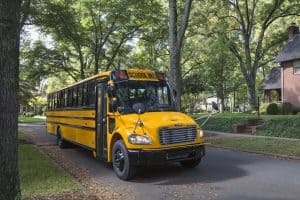 A version of the 488LPI engine is available on the Thomas Built Buses Saf-T-Liner C2 propane school bus. Photo courtesy of Agility Fuel Solutions. Agility Fuel Solutions, a wholly-owned subsidiary of Hexagon Composites ASA, is a leading global provider of clean fuel solutions for medium- and heavy-duty commercial vehicles. Its product offerings include natural gas, hydrogen, battery electric energy storage and delivery systems, Type 4 composite natural gas cylinders, propane and natural gas fuel systems, and propane dispensers. Agility offers solutions for a variety of vehicle types, including Class 8 trucks, refuse trucks, transit buses, school buses, concrete mixers and delivery trucks. Agility has been manufacturing and servicing safe and reliable clean fuel solutions for commercial vehicle fleets and OEMs for more than 20 years, logging billions of miles on the road per year.